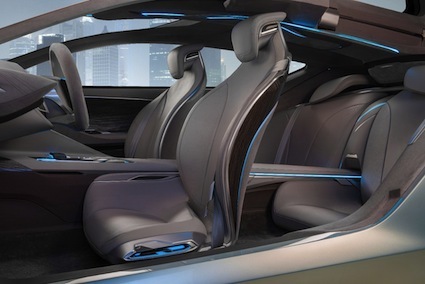 Will This Buick Riviera Concept Become a Reality? 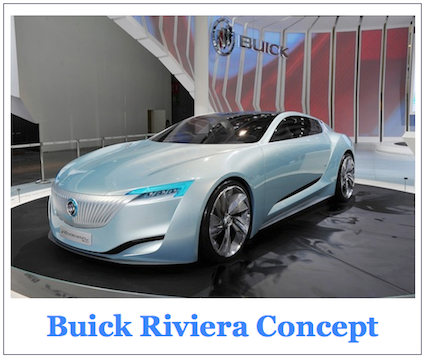 Buick just cannot lose the Riviera model name. 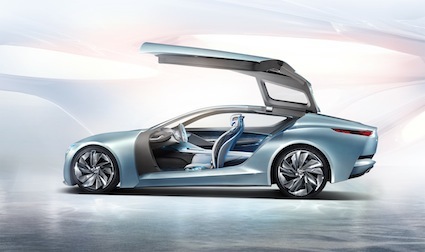 No surprise there as the Buick Riviera is one of the most heralded appellations in the Buick brand’s 110-year history. 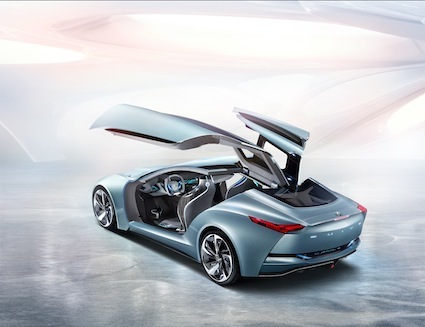 At Auto Shanghai 2013, Buick took the wraps off of the latest iteration of a Riviera concept, what Buick says is a “preview of Buick’s future design language.” If it is, you can expect to see big changes in future model designs perhaps encompassing models such as the LaCrosse, Regal and Verano sedans. Said Ed Welburn, GM vice president of global design, “Riviera is a design study of the future expression of Buick design with its elegant athletic shape, sculptural beauty, and precision execution.” Welburn also stated that the Riviera design points to future Buick products, its technologies to grace those models as well. 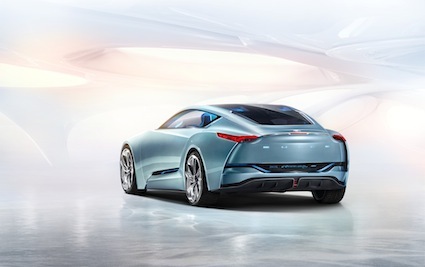 But it is still a concept and that means that despite the dazzle, we may not see certain characteristics on a production model including its gull-wing doors. Or its front floating seat design. 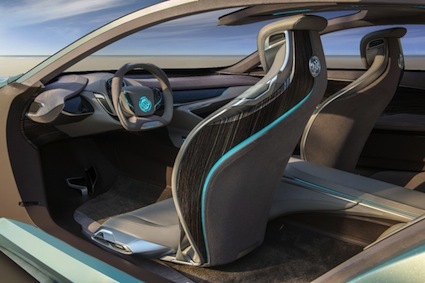 Then again, its four-wheel steering, electromagnetic-controlled suspension and air spring package could very well roll out. As might its 4G LTE networking capabilities. Safety is also a feature of this dream model as 10 high-resolution cameras and 18 micro high-precision sensors collect traffic information and employ distance monitoring respectively. The information is then displayed in a holographic image onto the windshield. Futuristic shades of Star Trek, eh? So, why the infatuation with Riviera name? Its style, mostly. Unlike virtually everything else that Buick was producing, the Riviera fairly consistently presented a look that combined sportiness with flair, a halo model of sorts that gave car shoppers a reason to give Buick a closer look. An anti-Roadmaster of sorts. Produced from 1963 to 1999, the Riviera’s absence has been felt even as Buick tries to breathe fresh life into this premium brand. 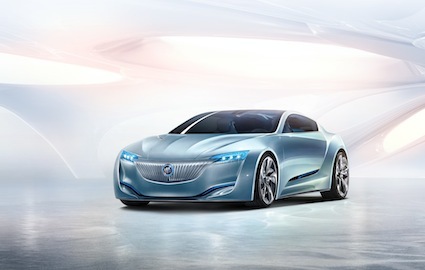 Some have seen that fresh life coming from Opel, supplier of the current Buick Regal and builder of the Cascada, itself marked possibly as a future Buick Riviera model for North American consumption. See Also — Buick Renaissance: Yet Another Riviera Teaser?